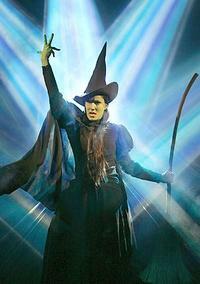 ← Jennifer DiNoia Goes "Down Under" with Wicked! As I’m sure anyone reading this blog knows, there’s currently a bit of a situation in the West End production of “Wicked.” But let’s start at the very beginning (a very good place to start…sorry, couldn’t help it!). Flashback to October 11, 2009: the day in which we find out via an interview that Mrs. Stephanie J. Block (former Broadway, 1st National Tour Elphaba) was nearly lined up (and had actually been put in!) to do the West End production of Wicked due to the illness of Alexia Khadime (Elphaba), Ashleigh Grey (standby for Elphaba), AND Sabrina Carter (understudy for Elphaba). Thankfully, Shona White (former West End standby for Elphaba) was able to come in and stand by for the role (though she never performed, unfortunately). So everybody figured it was a rather temporary situation as the regular players for the role of Elphaba recovered: wrong! Now, on November 8, we are still speculating from day to day of who will be playing Elphaba each evening… So now the question becomes: Are we about to see another situation where the role of Elphaba murders somebody’s vocal chords? I hope not, for everyone’s sake. My firm opinion, caused by many situations of this sort, is that all productions of “Wicked” should resort to an alternate system in which a lead is only expected to do six shows per week. This system has been successfully utilized in Germany since the production began previews on October 31, 2007 and has had Willemijn Verkaik stay healthy in the role of Elphaba since then. Best wishes to all involved in this situation! This entry was posted in Editorial and tagged Alexia Khadime, Ashleigh Gray, German Production, Sabrina Carter, Shona White, West End Production, Willemijn Verkaik. Bookmark the permalink. I agree! This has happened many times and there needs to be a change! Why do the casting directors, producers, and the director want to hurt their leading lady's voies? It seems such an easy ajustment that can positivly effect everyone!